Former teammates, coaches and executives who played and worked with former NHL goaltender Ray Emery have been expressing condolences online following the 35-year-old's death on Sunday. Hamilton police say Emery drowned in Lake Ontario, adding that his death does not appear to be suspicious, calling it a "case of misadventure." 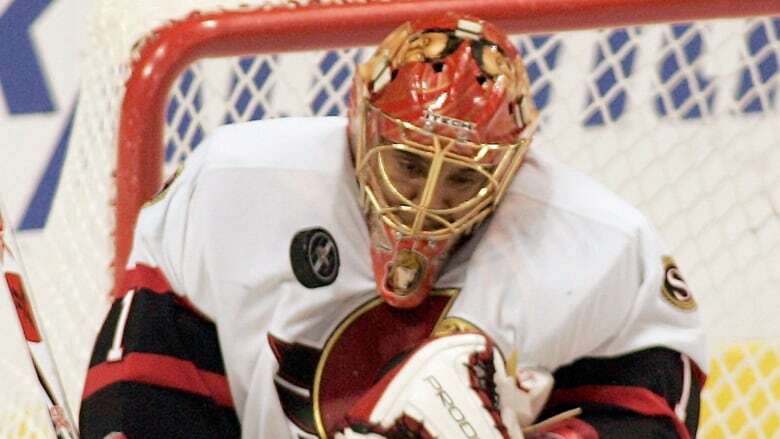 Nicknamed "Razor" for his aggressive style, Emery played parts of 11 seasons with the Ottawa Senators, Philadelphia Flyers, Chicago Blackhawks and Anaheim Ducks from 2003-2015. He helped the Senators reach the Stanley Cup Final in 2007 and won it as a backup with the Blackhawks in 2013. Emery battled avascular necrosis — the same serious hip ailment that ended two-sport star Bo Jackson's career — and came back to play. He and fellow Blackhawks netminder Corey Crawford combined to win the William Jennings Trophy for allowing the league's fewest goals during the lockout-shortened 2013 season and finished seventh in Vezina Trophy voting. "On behalf of the Ottawa Senators, I wish to express my sincere condolences on the passing of Ray Emery," Senators owner Eugene Melnyk wrote in a statement. "Ray was instrumental in our run to the 2007 Stanley Cup Final, and at his best he brought a competitive edge and combative mentality to the game. "On behalf of our entire organization, I wish to extend my deepest sympathies to Ray's family, friends and loved ones." Toronto Maple Leafs general manager Kyle Dubas also released a statement on twitter. Condolences poured out from the hockey community on Sunday after word of Emery's death spread. Former teammates lauded Emery's mentorship and leadership, especially in his final professional season in the AHL in 2015-16. Enforcer-turned-analyst Paul Bissonnette, a teammate with the AHL's Ontario Reign, said Emery would treat other players to dinner almost every night. "I'd heard nothing but great things before meeting him and it was true," Bissonnette said. "He was awesome. Great in the locker room and just made life enjoyable."